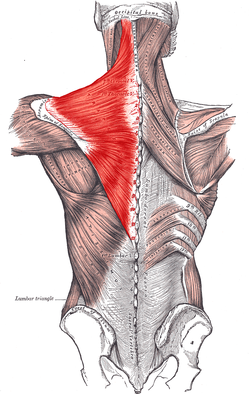 the blogging muscle is close to the trapezius muscle. Boom. I’m sitting on a borrowed airbed in a small room with one window that faces into a courtyard full of construction and home-maintenance equipment and old shoes. My fingernails are getting too long and doing that thing where they click on the keyboard and it’s driving me insane but the cure is far far away in the bathroom. It’s early-ish in the morning, and I’m in the part of the day I designated as “blogging time.” My hair is clean, my face is puffy, and I’m sitting at my computer still coated in Cairo-dust. And as I go to blog a blog, I find I’m gosh-darn-it stumped and have no idea what to write about. Should I talk about my new job in a way that doesn’t reveal the fact I’m only doing it for the granola bars? Should I discuss cats? Should I try to write a fiction post about popsicle sticks and fish scales? I was having a real time with it, and then the thought occurred to me, “This would just be easier if I didn’t blog.” Ding! Ding Ding! We have a winner! Balloons fell from the ceiling, a man with a kazoo and a clown’s nose started parading around my room and I had to ask him to leave, the band struck up a number, and I knew I had my blog topic. If I didn’t blog, I would never have to worry about what to write on. I would never feel guilty for not blogging or delayed responses to comments, or have to figure out how to describe my blog to other people. Me: “It’s a humor blog….I write about things I think are funny….” Other person: (eyeroll) (swift kick in my gut). My life would be marginally easier and I would have more free time to fill with poking other people on facebook. But, and here’s the cheesy awful part. I lurve blogging, and the less I do, the harder it is. The times I feel most on top of my blogging game are when I’m crushing it with 5 posts a week and can feel those blogging engines primed and ready to shoot off into unexplored areas of the human intestine. It’s when I lower this standard that blogging becomes more difficult and it’s easier to imagine my life without Snotting Black. Blogging is a muscle. Writing is a muscle. The heart is a muscle. The airbed I’m sitting on is a muscle. And if we don’t use these muscles, they die and go to the place where atrophied muscles soak in hot tubs all day and get pruny while talking about their former glory. It’s disgusting and I don’t want my blogging muscle to go there, yet. I wrote this meta-post so it could get some exercise. Now it’s your turn to exercise the muscle of something you love to do. This was an amazing post. I totally relate. Most days I have no idea what I want to write about, I just know that I want to write. I love this! And good for you for writing anyway – I wish I were that disciplined… But I can relate to the idea of muscle atrophy, so I’m going to use that as my way to get myself to write more often again. Thanks! I am guilty of not blogging properly for a while, I’ve been busy, finishing one job getting two new ones, but blogging is always in the back of my mind, I think this has inspired me to take time out and write thanks! Go out there and claim the blogosphere for your own. I feel guilty and out of practice when I only post once or twice in a week. Don’t you think it would be something if there were a blogging reality show? The show basically writes itself. A bunch of people live in a house together and blog competitively. The train wrecks would be glorious. Haha I love it. There would be so much comment drama. Ive literally just started blogging. Awesome blog youve got yourself here. I want to snot all over myself its that good. Just make sure you do it in a safe place. I’m still new to blogging, just over three months now, and it seems as if I have been doing this forever. I write many fewer Morning Pages, just a little before a diddle away on the blog or on Twitter, but the writing muscle is definitely worked and I appreciate the exercise. Blogging is like exercise, we feel good when we do it, guilty when we don’t, and our body thanks us. Resistance is futile! Today,finally, I got a chance to go through your blog after a month or so. It’s nice. Enjoy the tasty blogging snacks. Especially in a city like San Francisco.